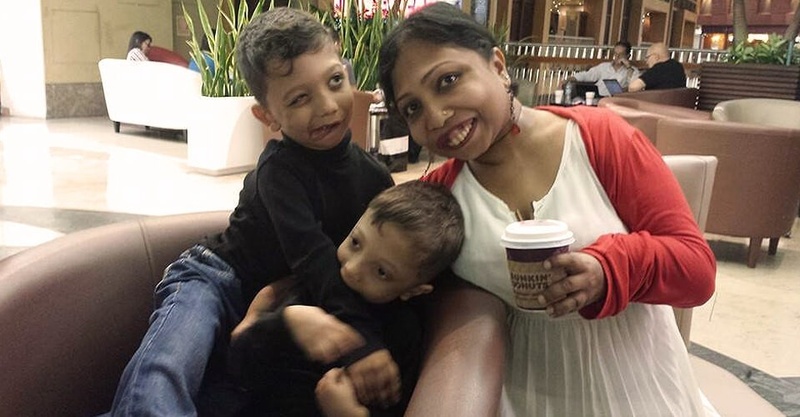 TJF’s founder, Dr. Neena Nizar’s mission to improve diagnosis of rare skeletal diseases highlighted in UK based online health magazine - Eastern Eye. Of course, we all would love cures and treatments for everyone facing rare disease. But there are so many of us who wouldn’t change who we are or who our kids are for the world. While we hope for a brighter future with better health, we also appreciate what we have now. What many don’t see or don’t realize is the amount of joy, happiness and love we experience as well. Dr. Neena Nizar sat down with Daniel S. Levine from Global Genes to talk about leadership, TJF’s success and future plans in the very special Rare Daily series. Drug development is spurred when unmet need and science come together. Strategic planning, focus and drive can spur the birth of new treatments and change. Dr. Nizar was part of a panel discussion at the Intellus Summit in Philadelphia to share insight and experiences on how pharmaceutical and biotech companies can utilize patient input and collaborate more effectively for drug discovery and development. Nizar was named the 2018 Nebraska Mother of the Year by the American Mothers in Nebraska in March at the State Capitol. 11-year-old boy Levi Krystosek is one-in-a-million. Levi has Jansens Metaphyseal Chondrodysplasia, which affects the growth of bones and causes considerable pain, meaning he is only 38 inches tall. There are approximately only 30 known cases of JMC in the world, and six genetically confirmed cases in the US. Watch our Levi light up the word with his never-say-never spirit! Dr. Neena Nizar at Harvard-MIT Division of Health Sciences and Technology, Boston Massachusetts. Dr. Nizar addressed topics on leadership, nonprofit and the intricacies of new treatments. What Is Life Like When Lived With a Very Rare Disorder? Sometimes we have to give up control and show our vulnerabilities in hopes that a greater good will come of it. Earlier this year, the Adam family gave videographers access to their day-to-day lives for a Discovery/TLC channel documentary. This video is a small segment of the episode that is set to air in 48 countries across the world. Our wish is that the entire documentary captures the immense hope we have for a cure and the love these boys share and bring to everyone whose lives they touch. The American Society of Bone and Mineral Research annual conference was held at the Colorado Convention Center, Denver, Colorado, on September 8th to 11th and TJF's founder Dr. Neena Nizar, was invited to attend. Little Levi flies to Nebraska for the first time to kick off the Jansen’s Foundation’s first ever #HeroUp4Jansens Walkathon. An in -depth story on founder, D. Neena Nizar’s, race to find a treatment for her boys and others with JMC. The heart felt piece was captured poignantly by Mara Klecker with pictures by Megan Farmer. World Orphan Drug Conference USA focuses on the most pressing challenges and opportunity to bring rare disease therapies to patient faster. Two Coast moms are headed to the nation's capitol to meet with lawmakers about ways to fund research and find cures. One of the advocates is Dona Krystosek, mother to Levi Krystosek. A special proclamation by the City of Ocean Springs recognized ‘Rare Disease Day’ and special guest honorees Willow Cannan and ‘Little Levi’ Krystosek were there for the big event. The Adam’s family get their BraunAbility accessible van! Watch out world! Brain Mastre’s wonderful piece on #TheAdamBoys for WOWT News. Levi made headlines when he became Miracle Flight's 100,000th flight. This video highlights Levi's visit and the impact meeting those boys had for him. 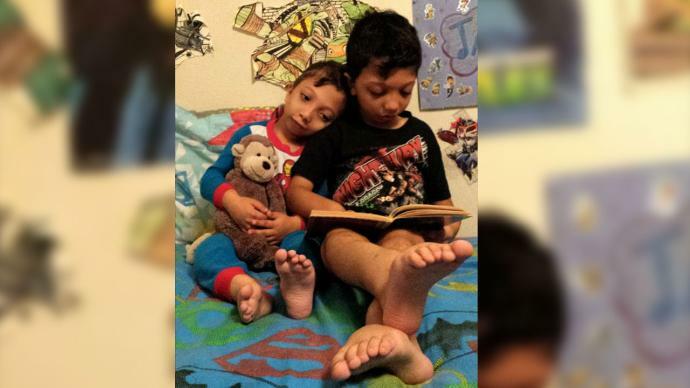 Dr. Neena Nizar traveled to Washington, D.C. to speak out for her and her two boys during Rare Disease Week on Capitol Hill. Dr. Neena Nizar’s TEDx talk on persevering and embracing who you are. Dr. Neena Nizar and family featured in the Friday Magazine, Dubai, UAE.